The Pinnacle Health Sports Medicine team is excited to kick off the 2014 High School football season. We would also like to extend a special thank you to all the orthopedic and family medicine residents who assist at the local high school football games. Dr. Timothy Ackerman is a Fellowship Trained and Board Certified Orthopedic Surgeon who practices general orthopedics, fracture care, and has specific interests in all-arthroscopic shoulder procedures including rotator cuff repairs and stabilization procedures for labral tears and instability. He also focuses on arthroscopic knee procedures including Anterior Cruciate Ligament (ACL) reconstructions as well as arthritis and meniscus surgery. Dr. Ackerman’s practice also includes joint replacement surgery on the shoulder and knee. 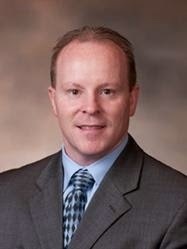 He is one of the only orthopedic surgeons in the Harrisburg area who completed a Sports Medicine / Arthroscopy Fellowship. Dr. Ackerman is also one of the only surgeons in the area to perform all arthroscopic rotator cuff surgery. Dr. Ackerman received his undergraduate degree from The Pennsylvania State University and his Doctor of Osteopathic Medicine (D.O.) degree from the Lake Erie College of Osteopathic Medicine (LECOM). He then completed his Internship and Residency training in Orthopedic Surgery at Pinnacle Health Hospitals in Harrisburg. Dr. Ackerman decided to receive advanced and specialized training and completed a one year Fellowship Training Program in Sports Medicine / Arthroscopy at the Hahnemann University in Philadelphia. During his fellowship training, he worked with the Team Physicians and participated in the care of the Philadelphia Eagles Professional Football Team, the Philadelphia Flyers Professional Hockey Team, the Philadelphia Phantoms Hockey Team, as well as Drexel University and Rutgers University. While working with the Eagles, he traveled with the team and provided care to the athletes which included a trip to the Super Bowl. Dr. Ackerman joined The Arlington Group in 2005 and currently serves as Team Orthopedic Surgeon for Steelton – Highspire High School. He is also the Team Physician and Orthopedic Surgeon for Penn State University Harrisburg Campus and Lebanon Valley College. 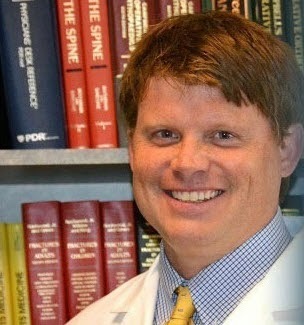 He also provides orthopedic care and is an Orthopedic Consultant for several local area high schools. Dr. Ackerman lives in Harrisburg with his wife, Jami. John R. Frankeny II, M.D., F.A.C.S. Dr. Frankeny attended Penn State University where he graduated first in his class with a BS in biology and a BA in psychology. He then earned a Master’s degree in sports medicine and applied physiology at the University of California, Davis. He received his medical degree from the University of California, San Francisco, where he received the top award at graduation as the student who best exemplified the academic and caring aspects of medicine. He then served as an intern and resident in Orthopedic Surgery at the Penn State Hershey Medical Center. After a sports medicine traveling fellowship in Asia, he began a general orthopedic practice with the Orthopedic Institute of Pennsylvania in 1991. He now serves as their CEO/Executive Director. Dr. Frankeny is board certified. He is a member of the American Medical Association, the Alpha Omega Alpha Honor Medical Society, the American Academy of Orthopedic Surgeons, and the Pennsylvania Orthopedic Society. 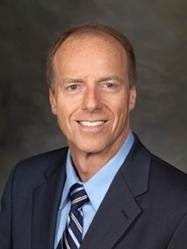 He is on the Board of Directors at the Pennsylvania Orthopedic Society. He currently serves as an Assistant Clinical Professor, Department of Orthopedics, Penn State Hershey Medical Center and is an instructor in the Department of Orthopedics at Pinnacle Health System. Dr. Frankeny has been named to the “Best Doctors, Inc.” for years 2002 to present. 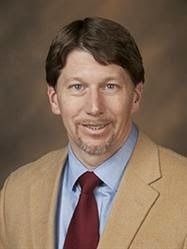 He has served as the team orthopedist for the Harrisburg Senators baseball team and several high school football teams. He has done orthopedic mission work in Haiti. He resides with his wife on their farm in Juniata County and enjoys the frequent visits of his children and grandchildren. He relaxes by doing farm chores, reading, and exercise. He is a Monday morning quarterback for the Pittsburgh Steelers. Steven M. DeLuca, DO., MS.
Dr. DeLuca received his bachelor's degree from Franklin and Marshall College, where he was an All-American football player in 1995. He earned a Doctor of Osteopathic Medicine and Master of Science degree from Philadelphia College of Osteopathic Medicine before joining OIP in 2007. Dr. DeLuca is certified by the American Osteopathic Board of Orthopedic Surgery. He is a member of the American Academy of Osteopathic Surgeons, American Osteopathic Academy of Orthopedics, American Osteopathic Association, Pennsylvania Osteopathic Medical Association, North American Spine Society and Pennsylvania Orthopedic Society. Dr. DeLuca is the recipient of the 2007 Bob Green, DO. Memorial Award, which is given annually to the DO. orthopedic surgeon who achieved the highest combined score in the written and oral board certification examination. A native of Doylestown, Pennsylvania, Dr. DeLuca currently resides in Mechanicsburg with his wife, Amy, and their three children. Dr. Kelly attended medical school at Penn State College of Medicine and completed an orthopedic surgery residency at Penn State Milton S. Hershey Medical Center. He served as a surgeon in the United States Army for five years during which he was stationed at Fort Leonard Wood, Fort Belvoir and Iraq. He also completed a surgery fellowship in Sydney, Australia, where he received additional training in rotator cuff repair, shoulder replacement and instability surgery. He joined OIP in 2010. Dr. Kelly is certified in orthopedic surgery and sports medicine by the American Board of Orthopedic Surgery and is a fellow of the American Academy of Orthopedic Surgery. As a sports medicine surgeon, Dr. Kelly has extensive experience in ACL reconstruction, meniscus surgery and other procedures related to athletic injuries. Dr. Kelly lives in Hummelstown with his wife and their four sons. He enjoys running, exercise, soccer and skiing. He is involved with his kids' activities, serves as an adult Cub Scouts leader and is the team surgeon for the Palmyra Cougars. 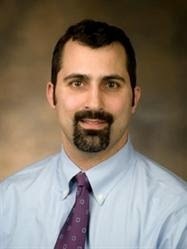 He is also the current orthopedic team doctor for the Harrisburg Heat. Dr. Buerk attended The Pennsylvania State University, the Philadelphia College of Osteopathic Medicine and completed his orthopedic training at the Pinnacle Health System where he scored among the highest in the nation on his orthopedic training examinations. He is a native of the mid-state area having graduated from Hershey High School in 1993. Dr. Buerk is certified by the American Osteopathic Board of Orthopedic Surgeons. He is a member of the American Academy of Orthopedic Surgeons, American Osteopathic Academy of Orthopedics, American Osteopathic Association, Pennsylvania Osteopathic Medical Association, North American Spine Society and Pennsylvania Orthopedic Society. Dr. Buerk currently resides in Hummelstown with his wife Erin, a fifth grade teacher in the Derry Township School District, and their 3 daughters. Having over ten years of formal construction training, Dr. Buerk continues to enjoy construction projects, woodworking and home remodeling. He also enjoys all outdoor activities including mountain biking, road cycling, swimming, hiking and fishing. This is so informative information which is so supportive and helpful to us all because it contains huge information about the Orthopedic Surgeons. This details information also helps me because I was looking forward to know about this matter. Love you and inform like this. Thank you for choosing ETCOE for your orthopedic care. If you have any questions, always feel free to contact our office and our trained staff will assist you in any way possible. When the football season start players become injured and this kind of the health should provide to every player. I like this service and it is very useful for the players. This department is working so well and the government should improve it. I am sure that this information will be useful for students. You can use it if you are going to write your essay soon, but you don't want to waste your time for writing. Good news for all sports man getmyleather one of the famous leather jackets store in NY, Which allow you to find a best sport leather jackets at a discount price due to upcoming Valentine day. We provide the online assignment help and academic writing service in AUS and USA. we provide assignment writers help 24/7 support. Sample Assignment provides an all-year long assignment help Adelaide While providing the academic aid, we foresee ourselves to be known as the chosen one academic consultants like Nursing, IT, Law, Marketing, Economics, Accounting, Statistics, etc. are some of the subjects to name that we cater to the Australian students in. We were recently recognized as the most reliable and dependable statistics assignment helpservice, and also voted as the Numero Uno assignment provider for the past two years. The academic assignment makerhave been using their past experience and knowledge in order to supply the students with HD grade assignments including dissertations, essays, thesis, reports, journals, reflections, case study analysis, etc. There are many companies in the industry which functioning at skyrocketed prices. Be it accounting assignment help, marketing assignment help, java assignment help, taxation assignment help; we proffer our expert guidance in all of the assignments. Get the best write my assignment administrations from the specialists of Students Assignment Help and at a low cost. Our industry master offers the dependable assignments administrations to the understudies. Our online master essayists are capable in finishing the task.